If you are dreaming of becoming rich, the best place not to go is the stock market. That is of course, unless you are highly knowledgeable about trading and educated on how to use stock market tips. The stock market is highly volatile and understanding the stock market before investing is essential. Learn to interpret stock information and find an expert broker who can help you in devising an investment package. 1. Subscribe to financial periodicals and newsletters and read literature devoted to stock tables, tickers and price quotes. Learn about what companies are trading high how you can finance investments. 2. Format a list of companies that you would like to follow. Make sure you have a variety of industries and companies. Make notes on each company stock performance, trading volume and dividend yields. 3. Write down and develop an investment plan and devise some ground rules for yourself. Make sure you have enough funds to invest and never go beyond what you can comfortably lose. 4. Study the pros and cons of using an online broker who will not give you expert advice versus using a full-service brokerage who will assign you a market broker and can give you strong advice and viable stock market tips. 5. Schedule periodic meetings with your stock broker, if you have one, to evaluate your financial package and make adjustments. Make sure you are abreast of market trends, emerging issues and business news. Look for stock values that may be undervalued. 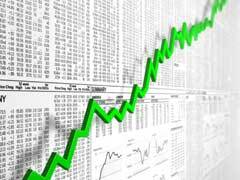 Read stock market tips and research said tips. 6. Look at an automatic investment plan. If you are a dedicated investor you can join a fund plan that waives regular minimums of if you commit to automatic investment plans. Such investment plans help you avoid the pitfalls of stock market timing and is an affordable way to enter into stock trading. 7. An adventurous trader can try swing trading stocks which capture short term moves in the stock market. The swing trader holds a stock for up to five days which is easier than day trading and swing trading does not require that you know the name of the company, the commodity being handled or trading trends. You are only interested in supply and demand and money going in and out. Answer the questions, is there money flowing into or out of this stock and how do I get into this stock with little risk, to determine if you can handle swing trading. Stock market tips will also help the beginning investor find cheap stocks to invest in. When the stock market is on a high stock prices are inflated. Learn how to buy cheap stocks that are undervalued by searching through free financial websites and find key indicators. These are dividend yield, price/earnings ratio, and average daily volume over the last two weeks. The net profit margin needs to be high and revenue growth as high as possible. Eliminate stocks that have a 12 months relative strength value that is less than fifty. Only invest in cheap stocks that are listed on the stock exchange and watch stock market tips that provide asset and liability reports. Stock Market Performance History - How To Use It For Trading?